Have you ever read a book that resonated with your soul on many levels? Me too. 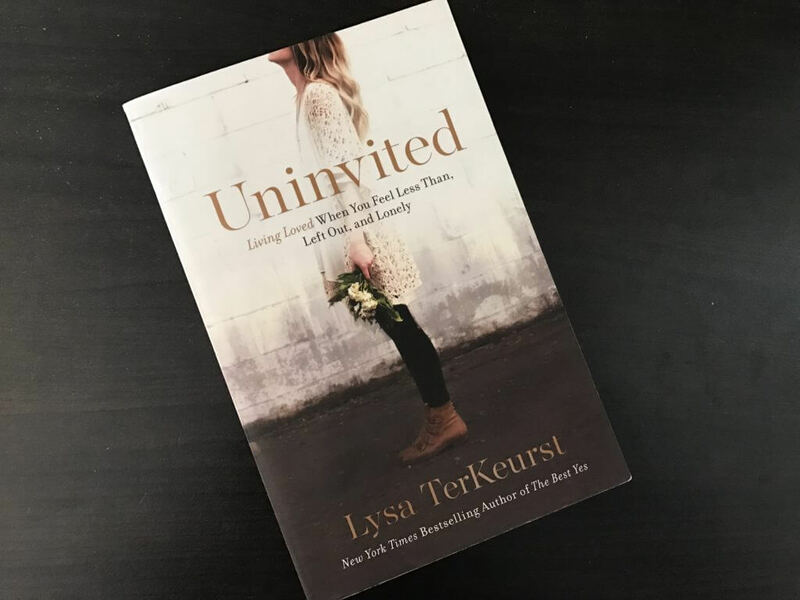 I recently finished Uninvited by Lysa TerKeurst. Uninvited is life changing. So many quotes are underlined in this book. This is a book I will be unpacking for a long time. The three points that really impacted me are: God’s love is placed on me, I choose what enters my heart and rejection never has the final say. First, God’s love is placed on me. I loved the reminders of how much God loves me. He loved me before I was born. There is nothing I can do to earn God’s love. The creator of the Universe loves me because He created me. 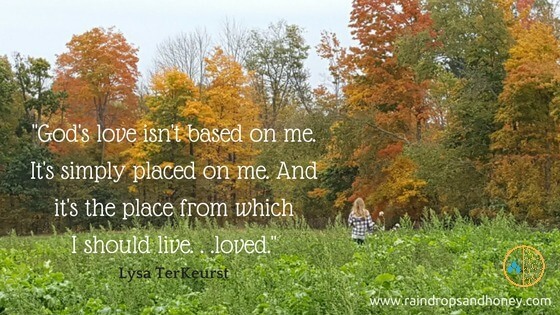 And because of that deep love, I need to live loved. When I step into a room, I want to walk in the fullness of God’s love. This is hard to do because I am human. I want people to notice me and give me approval. But, this is an area I am growing in. My focus when I walk into a room now is to bring God’s love to whoever I come in contact with. To walk with my head held high because I am the daughter of the King of Kings and my Daddy loves me deeply. Secondly, I am in charge of what enters my heart. I choose to let love or hate in, forgiveness or bitterness and so on. On page 69, Lysa shares a quote which has really hit home for me; “Bitterness, resentment, and anger have no place in a heart as beautiful as yours.” Jesus resides in my heart and there is no room for anything that is not of Him. This is tough but something I will continue to ask the Holy Spirit to guide me in. My heart needs to be forgiving, loving and full of joy. Lastly, the point that really impacted me was a quote found on page 208 “Rejection never has the final say.” Amen and Amen, right? I pump my fist in the air and charge forward standing on truth. Until I get hit with more rejection. And then, I am back to wondering what is wrong with me. This is when the Holy Spirit gently prompts me and whispers that because of Jesus I am okay and loved. I am cherished. I am valuable. Rejection never has the final say. God always has the final say! This book has changed my life and I am grateful for that. I desire to live loved and bring God’s fullness wherever I go. Each day, I choose to fill my beautiful heart with love and forgiveness. And finally, I will believe that God has the final say. Rejection will not win!